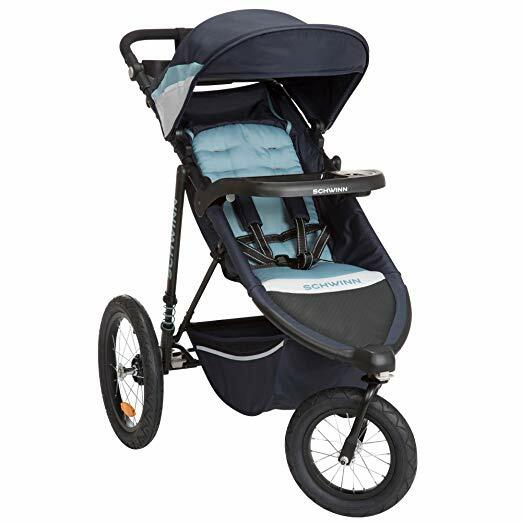 We looked at the top 1 Jogging Strollers and dug through the reviews from 4 of the most popular review sites including Stroller Envy, Consumer Reports, Baby Gear Lab, Baby Kids HQ and more. Through this analysis, we've determined the best Jogging Stroller you should buy. In our analysis of 87 expert reviews, the Chicco Chicco Activ3 Air Jogging Stroller placed 9th when we looked at the top 10 products in the category. For the full ranking, see below. Good suspension is important with an all terrain or jogger to smooth out the bumps. The Chicco Activ3 has an adjustable suspension that you control with your foot. Smooth and sturdy. Performed well on all types of terrain. Parent console contains the hand-operated brake (a nice feature), as well as the controls for the front swivel wheel (also nice, as it eliminates having to bend down to lock/unlock the swivel). Easy fold/unfold. Self-stands when folded. Adjustable handle is comfortable when pushing. While it is suitable for jogging, per the manufacturer, we did not test it as a jogger. We like the rubber tires and the three-wheel design. 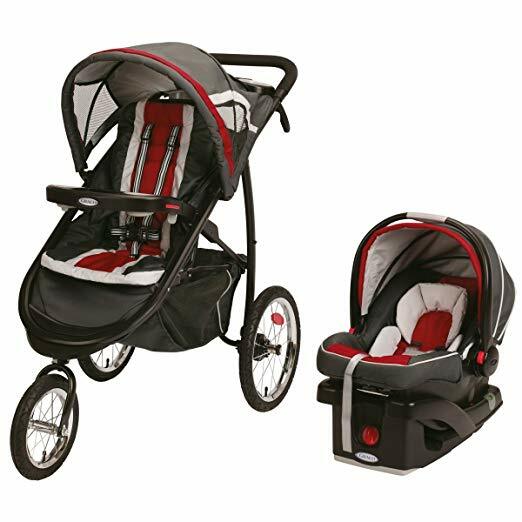 This stroller has this adjustable handlebar with controls for the park brake, swivel lock and the fold and release options! The canopy should have a mesh window to allow for better airflow. And having an extra inside the zip-out panel would make it easier to check in. Large, heavy and bulky, even when folded. Storage basket is shallow and can't be accessed from the front. The Activ3 isn't the easiest to push or turn given its jogging stroller heritage. It feels heavy and clunky with a larger size and less responsiveness than some of the competition. 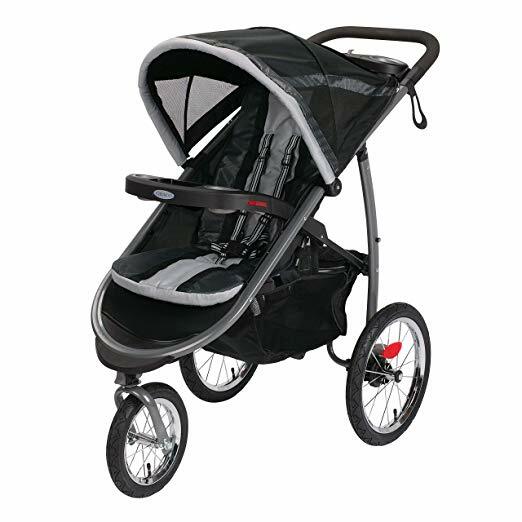 Another problem that one might come up is the weight of this stroller; its might be a little heavy for some since it gives you everything that you can ask for in a stroller. 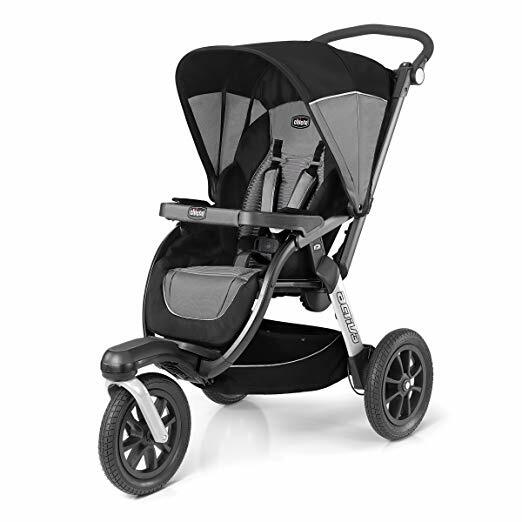 Combining the features of an everyday stroller and a fitness jogger, the Chicco Activ3 Air Jogging Stroller offers versatile functionality at any pace. A lightweight aluminum frame and sleek three-wheel design are easy to maneuver, dual FlexCore suspension adjusts for smooth or rugged terrain, and foam-filled tires perform like air-filled tires but never need refilling. For baby’s earliest outings, the Activ3 Air can be used as a travel system with the Chicco KeyFit or Fit2 infant car seat. 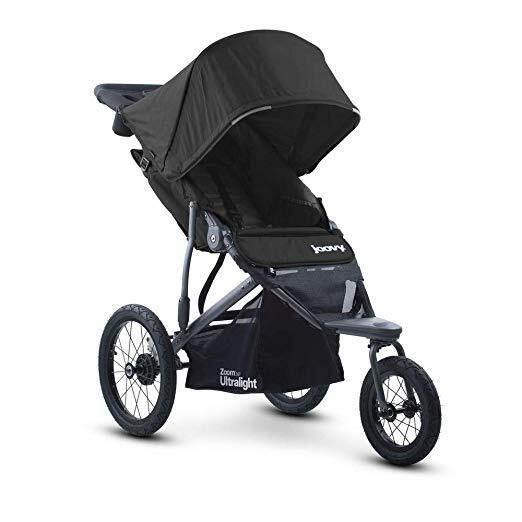 (sold separately) As baby grows, a multi-position breathable 3D AirMesh backrest, five-point harness, and full-coverage extendable canopy help create a comfortable and secure environment for continued strolling or jogging. For unmatched convenience, the Activ3 Air features an exclusive Control Console with hand-operated functionality that’s easy to access while strolling. The front swivel wheel can be locked/unlocked from the console for on-the-go adjustment. The rear parking brake is also controlled from the console—instead of with a foot pedal—to keep running strides unobstructed. An adjustable push handle, soft parent tray with two cup holders, and large storage basket provide added convenience. The Activ3 Air conveniently folds with one hand into three compact configurations: the standing fold is perfect for the garage; the front swivel wheel easily folds down to create a flat fold for the trunk; and quick-release wheels reduce the footprint for long-term closet storage. • Accepts all Chicco KeyFit and Fit2 car seats with click-in attachment. • Breathable 3D AirMesh backrest with airflow channels for improved ventilation. • Exclusive Control Console with hand-operated adjustments. • Multi-position reclining seat and detachable padded arm bar. • Full-coverage, extendable canopy with tinted peek-a-boo window. • Foam-filled tires and locking front swivel with easy on-the-go adjustment. • Hand-operated parking brake keeps foot area clear and unobstructed. • Adjustable FlexCore suspension for smooth rides on flat or varied terrain. • One-hand fold with 3 configurations and quick-release wheels. Soft parent tray with 2 cup holders and large storage basket.